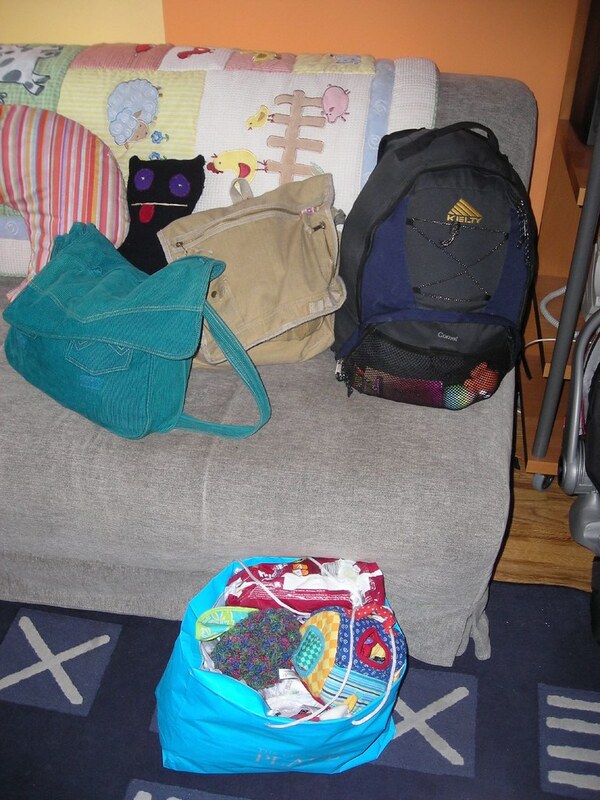 Has anyone EVER packed less than the ENTIRE CONTENTS OF YOUR HOUSE to travel for a simple weekend away with a baby? Next Next post: Can ANYONE Solve this? If it was going to a friends house I would mail some of my things ahead of time for them to hold. I would bring the barest minimums of things if I knew there was a store nearby that I could just replenish at the destination. Ditto on the buy when you get there if you can. Also use small airplane travel bottles for liquids and creams etc. Limit outfits to a few that wash out easily and would dry quick… luckily in the summer bathing suits do this amazingly well and on babies… are acceptable as clothing. Swim diapers. Less bulk, last longer. Eat junky on the road food. Eliminating the need to bring any with you. Who cares! It’s only one weekend. When in doubt don’t bring it… it’s only the weekend… you will be home quickly and the memory of the forgotten item with be gone. now now now… wouldn’t I be the PERFECT person to play? And can you believe that we OVERPACKED? Yeah, have no fear, we’ll be at your house on Saturday and we’ll have so. goddamn. much. crap. with us that you will feel redeemed.